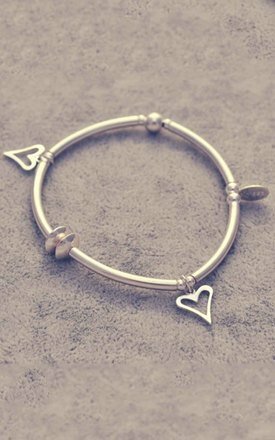 Beautiful handmade sterling silver 'noodle' style bracelet, featuring stunning open heart silver charms. Finished with sterling silver 'Alyssa' signature tag. Each bracelet measures approx 17cm. Silver jewellery is a must have in all high fashion wardrobes. 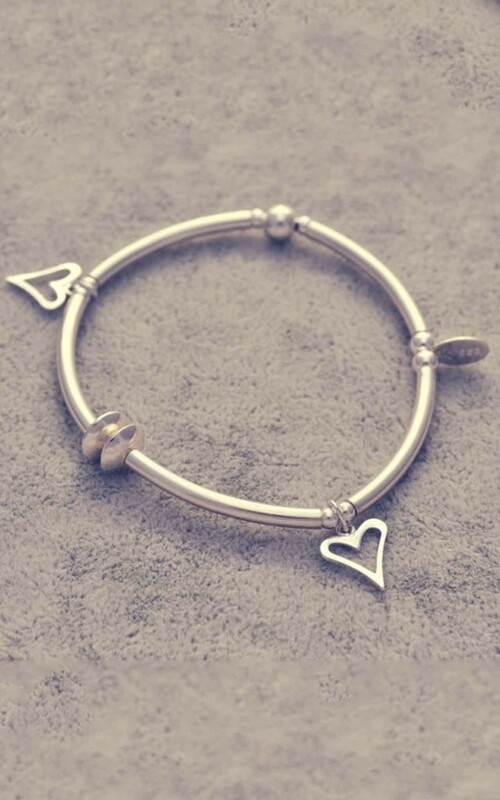 Simple, stylish, elegant - these bracelets looks fabulous on their own or as part of a stack! Why not start your collection today?